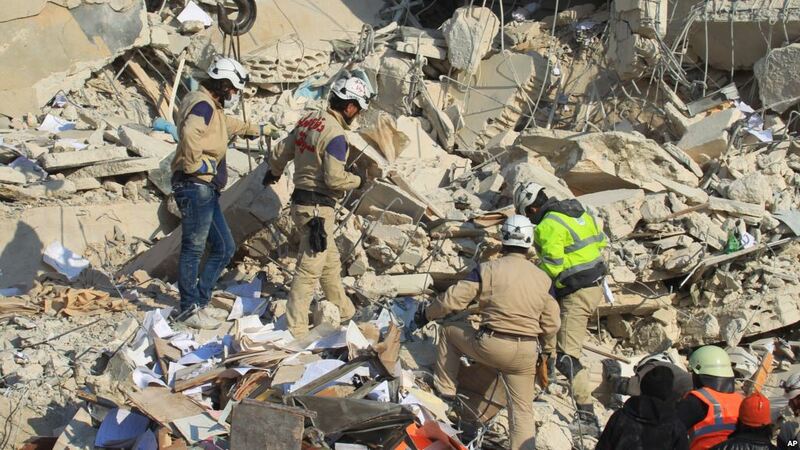 An airstrike destroyed northwestern Idlib’s only Civil Defense center on Wednesday. The attack was allegedly a single missile strike from a Soviet-era warplane – a signature plane of the Syrian military. A witness mentions “The center was completely destroyed after sustaining a direct hit,” The damages include five injured Civil Defense personnel, six destroyed fire trucks, two water tankers, two vans and an ambulance. This is the latest in a series of airstrikes across the province over the past two weeks, targeting civilian sites from schools to outdoor markets. Northwestern Idlib now has very little support against the Syrian military. Despite suffering a huge loss to their equipment, the Idlib Civil Defense vowed to continue its work. “We will continue to serve others, no matter our own losses.” – a statement from the defence center’s Facebook page.